What Are The Best Marketing Strategies For New Companies? I’m sure you’ve come across articles and videos discussing the best marketing strategies for a start-up business, but how many of them go into great depth about a solid strategy? I did some recent research and I was surprised that very few of them offered detail directions. Of course, the articles are great but what if you don’t know much about marketing? What happens if you’re not website savvy? The terminology for these marketing strategies are enough to drive any newbie crazy and I wouldn’t consider most of them to be an authority figure to trust in the first place. And I don’t mean that to be disrespectful, just stating that these are the same marketing tips I see daily. If everyone was using the same marketing strategies with success, the world would be a better place. I wanted to publish an article, a guide if you will that can help you build the foundation of your marketing efforts. I wanted to list the best marketing strategies for a start-up business, keeping in mind that most start-up companies have a small budget to start with anyway. I wanted to keep the terminology simple, but still have advanced marketing strategies that can help you develop your brand an identity. If you follow this best marketing strategies guide, you’ll have the foundation of your marketing efforts in place to see results. One of the best marketing strategies for your start-up business is to focus on research and development. What does that mean? It’s very simple, know your niche like a pro. Have you ever been on a phone call and you know from the sound of someone’s voice that you know more then them? Similar point. If you want to be successful with your start-up business, you better know your field like a pro. Therefore, take the needed time to do your research, learn your niche, learn your market, and develop your business. It can be extremely difficult getting market data that you can trust, especially if you’re new to online research, data or marketing. Credible sources are out there, take the time to find them. There’s a number of different market research companies out there to get data. You may be asking, “how will market data help my company with marketing?” Valid question, but your likely either providing a service or selling a product. Knowing who will buy that product or service is important. Knowing where you can find these potential customers is important. You can never have too much data to evaluate, use it to help focus on a marketing strategy aimed at targeting the right customer. Choosing a market for your product or service is a crucial step for your start-up business. This step corresponds with research and development that we discussed above. Every start-up founder believes the world will love their product or service. Trust me, we all do. The truth is, only a very small percentage of the population will have a need for your company. Choosing the right market for your start-up business is a vital step toward success. As I said before, most start-up companies don’t have the proper funds to go “all-out” with marketing campaigns. It takes a lot of money to build a start-up, manufacture products, hiring staff and everything in between. If you try to market your product to everyone, you’re going to spend a lot of time and money likely for nothing. Even if you get results, they’ll likely be minimal. What is the market size of your target audience? Are you trying to reach a local, national, or global audience? Does your potential customer have the money to buy your service or product? Is your product or service valued? Better then your competition? Is your market highly competitive? How many potential customers are in your market? Once you’ve done your market research and know your market potential, you’ll need to begin focusing on your online marketing strategy. There’s a number of different options that you have in terms of online marketing strategies for your start-up business. If you haven’t done so already, the first thing you need to do is have a website built. This is going to be the core of your online marketing efforts. The key is to display your products or services on your website, eventually building traffic to your website. I would suggest that you have a website built on WordPress. WordPress is a content management system that has a variety of different options that can benefit your start-up business. It’s simple enough for a newbie with plenty of options for advanced users. I highly recommend that you build a blog for your business. One of the main reasons that you want a blog is for SEO, also known as search engine optimization. You’ve likely heard this term once or twice, we’ll discuss this in detail later. Another reason that you want a blog is to showcase your products or services. Learn how to write high quality content for SEO to help increase the visibility of your website. As promised, we’re going to discuss search engine optimization, also called SEO. SEO is used to increase your search engine ranks. SEO can help your start-up gain more visibility in major search engines such as Google, Yahoo and Bing. One way that you can gain search engine rankings is by writing high quality content. All together, there is thought to be over 200 or more ranking factors when it comes to SEO. Search engine optimization services can help your website begin to crawl up the major search engines. SEO will help you build traffic and customers. How long does SEO take? Valid question, right? Well, it depends. It depends on the niche you’re in, the competition of other websites and a variety of more factors. You have to understand, with a new website, SEO is going to take time. SEO takes months and years, but it’s a crucial step into growing your business. Search engine marketing is highly effective and often brings high conversions. As a start-up business, you’re at a disadvantage from day one. Even with great SEO services or the knowledge of an experienced SEO expert, it’s going to take time to rank your keywords. Don’t worry about where you’ll rank just yet, the most important element of ranking your keywords is choosing the right keywords to rank. How do I choose the right keywords for my business? This depends on the keywords of your business. What are you offering your customers? What terms would be used by your customers to find your services or products? How many services and products do you offer? The answers to these questions should determine the type of keywords that you target. The services you offer customers. The products you want to sell to customers. What a customer would search for to find your business. What your start-up business does, sells or provides. Any secondary service or product you may offer/provide. I know it can be tough as a start-up business to purchase SEO software or SEO services. Two free tools that can provide you with helpful SEO date is Google Analytics and Google Webmaster Tools. Sign up for a free Google account and get your website associated with these two free tools. How many keywords should I start with? You need to make sure you have a set of primary keywords and a set of secondary keywords. 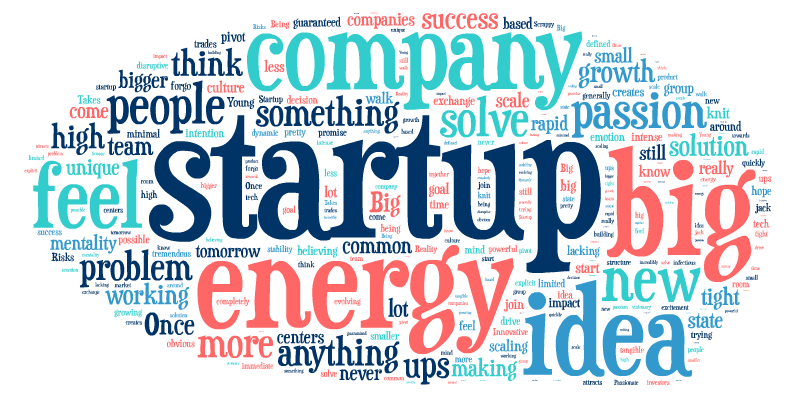 As a start-up business, I would suggest starting with 5 primary keywords and 5 secondary keywords. At the most, 10/10. With Google Webmaster Tools, after a few weeks, you should start seeing search queries registering in your data. This will give you insight to what keywords and search terms are bringing in traffic to your website. With Google Analytics, you’ll know where the traffic is coming from. We’ve all heard of Facebook, most of us already know how to work Facebook like a pro. If you don’t have a Facebook business page up for your start-up, this would be a good time to get one up. One of the best marketing strategies you can have in terms of social media marketing is Facebook. Facebook is the largest social media platform online. You should take the time to learn how to market on Facebook. Facebook has helped thousands of start-up companies succeed, it can do the same for you. Considering your start-up budget, this marketing strategy only cost a few minutes of your time. One of the biggest mistakes people make is trying to make sure that they are on every social media platform possible. They think because the competition is, they should be but that’s not the case. Facebook, Twitter, Google+, Instagram, Pinterest, they all have differences. Finding the correct social platforms to market on could be the key to succeeding with your social media marketing efforts. The key to social media marketing is being effective, maximizing your reach and making your time there count. Learn the right time to post and engage your audience. Learn what your audience wants to see, what your audience responds to as well. For example, on Facebook, users usually respond to pictures and graphics. You don’t have to be on every social media platform to be successful, but you do need to be successful on the few that you operate on. Lastly, make sure you take the time to connect with authority social accounts. Did you know that nearly 80 percent of social media users said posts by brands influenced their purchase behavior moderately or highly. That is huge. As a start-up, it will take time before your brand influences thousands of people. Until you get to that stage, connect with other accounts that already have that level of influence. While you do want to make sure that you’re publishing fresh content on your website, there’s also a need to publish content elsewhere. If you have other websites or blogs that are established, you’re going to want to use those online resources for your start-up business. Any online resource that can be used to promote your business should be considered. Of course, you want to do a proper evaluation. One of the best marketing strategies any start-up business can do is publishing content on authority websites. Some may refer to this as guest blogging. This goes back to earlier in the article when I was discussing making relationships with authority people on social media. You should be doing the same with bloggers and webmasters. Getting your article published on an authority website with thousands of visitors could be huge for your start-up. You can use all these content types for various strategies. Newsletters are used to build your email list. Webinars are a great way to influence customers to buy. Videos are great for landing pages and marketing. Make sure your content always serves a purpose. While it’s normal to get excited about publishing content on your website or elsewhere, you should plan your content carefully. Writing content about anything is a waste of time and money. Instead, you need to focus and plan your content around your brand. Remember the need for keywords and SEO also. If I’m offering a service, I want my content focused around that topic. If I offer certain products, I want my content focused around what I’m selling to customers. I know some SEO experts like using PR, Media or press releases for SEO, I wouldn’t recommend it. Now, as a start-up business, this is a good marketing strategy for you. A press release is proper when you announce your start-up or a new product/service. However, I would continue to use PR just for the purpose of SEO and link building. Press release can cost a lot of money, you want to make sure you use that money right. From day one, everything that you’re doing should be recorded. Everything that is important should be documented. The best marketing strategies can be backed up by proven results, results proven by data and A/B testing. If you haven’t heard of A/B testing, this is simply testing one strategy against another. A/B testing is often used to test landing pages, among other things, but often to see which page has the highest conversions. I can’t stress it enough, data is important. Knowing how your customers respond to your marketing strategies is crucial. Test everything from day one, document everything. See what marketing strategies work for your start-up and what techniques don’t. Evaluate your strategy and test again. There’s no secrets to the find the best marketing strategies for your business. Starting a business is the easy part, making it successful is another. Many start-ups fail for a number of different reasons. The key is finding out what works for your start-up and rolling with it. You know the marketing strategies used, you know how to find what works and what doesn’t. You know the importance of research, development and A/B testing. We’ve touched on SEO, SMM, content marketing and PR. Make every second count and make every relationship count. Don’t waste your time, don’t waste your money and document everything. Find what works and run with it. Lastly, never stop improving.